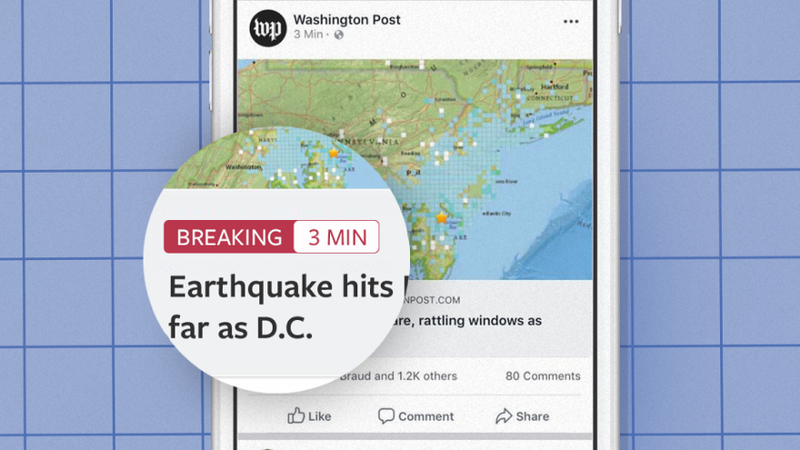 Over the last year, Facebook has been slowly rolling out its 'Breaking News' tag to publishers, giving them another way to boost awareness of their latest content in the News Feed. The Breaking News tag is designed to give publishers a tool to clearly differentiate breaking news posts from less time-sensitive editorial content. The feature was originally announced in March 2018, but has since been expanded to several regions. Publishers can choose to have the label remain active for a period of up to six hours. And apart from the initial, visual indicator, the Breaking News tag also enables publishers to string together updates as part of an ongoing news story. To prevent overuse, each publisher can only use the Breaking News tag for one share per day, with an additional budget of five labels per month that can be used at any time. To assess the value of this feature, Echobox's data science team conducted a study into the effect of the Breaking News tag on publishers’ traffic from social media. Among of the hundreds of publications relying on Echobox daily are several major publications which took part in Facebook's Breaking News tag beta - since March 2018, they've been using the Breaking News label on their main Facebook Pages. In the study, Echobox compared how much traffic was generated by the labeled shares relative to those which were not labeled. 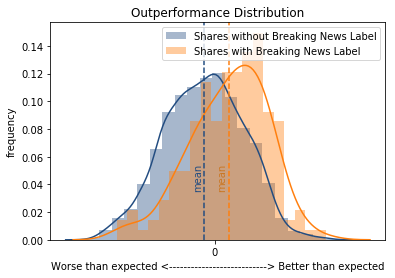 Figure 1 visualizes shares with the Breaking News label (orange) and those without (blue). Echobox observed that, on average, articles with the Breaking News tag outperformed those without significantly - on average, shares with the Breaking News label were up 51%. To test whether this increase could have occurred randomly, the researchers then drew 3,000 samples of 200 shares each from all shares without the Breaking News label and measured how often a random sample would exhibit a comparable difference in performance. The observed variance in the data indicates a probability of less than 2% that the Breaking News tag posts outperformed the other posts by chance. This is strong evidence that individual shares with the label do indeed generate more clicks than they would have otherwise. However, the researchers do not find any impact on overall traffic. If shares labeled as breaking news benefited without any negative impact on other posts, a medium-sized publisher, with 25 shares to Facebook per day, could theoretically expect a ~4% increase in monthly social traffic by using the full monthly quota of Breaking News labels, however the same publishers for which we just showed the significant positive impact of the Breaking News label on individual share performance actually saw an overall decrease of 2.5% for clicks, and similarly for re-shares, likes and comments. after they started using the Breaking News tag. Additionally, when considering other publishers, Echobox found no evidence supporting the expectation that the Breaking News tag benefits overall page performance. While Facebook's Breaking News label is clearly effective at boosting the traffic of individual labeled shares, the research indicates that these performance benefits do not translate to any overall performance increases. The root cause is most likely that shares for which the Breaking News Label was not used performed relatively worse than they could have - it seems likely that this is at least partly a symptom of an underlying cannibalization effect. In other words, shares with the Breaking News tag engage viewers’ attention more aggressively, and could thereby make other editorial content on the Page seem less interesting or relevant by comparison to the flashy breaking shares. In summary, while the Breaking News label evidently generates increased viewership for breaking stories, the findings show that it also decreases traffic to other posts, and therefore does not raise overall traffic from social media. You can watch a video summary of this research here.